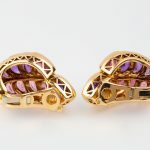 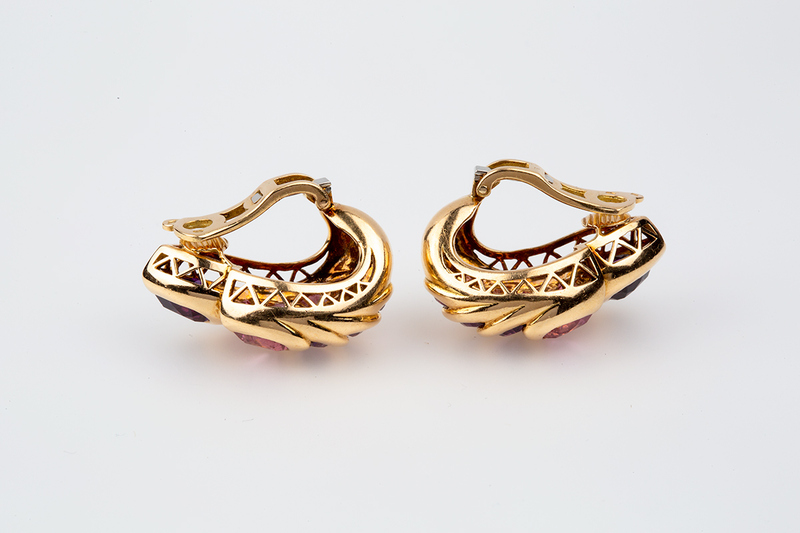 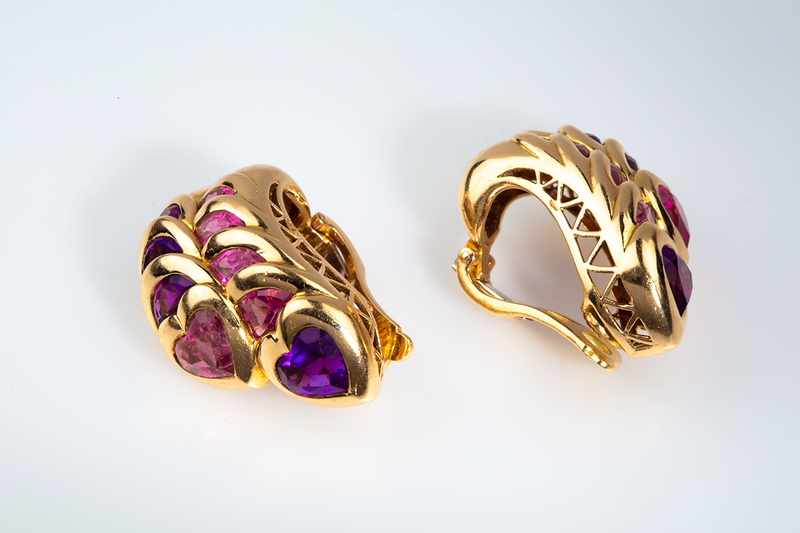 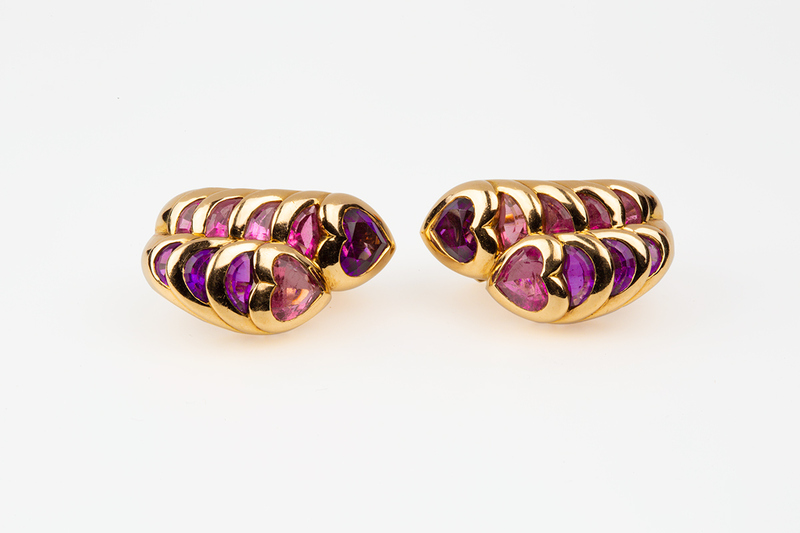 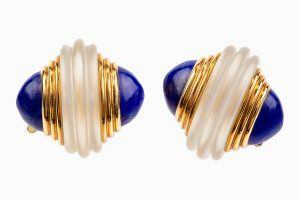 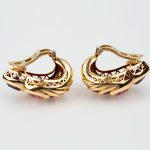 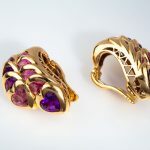 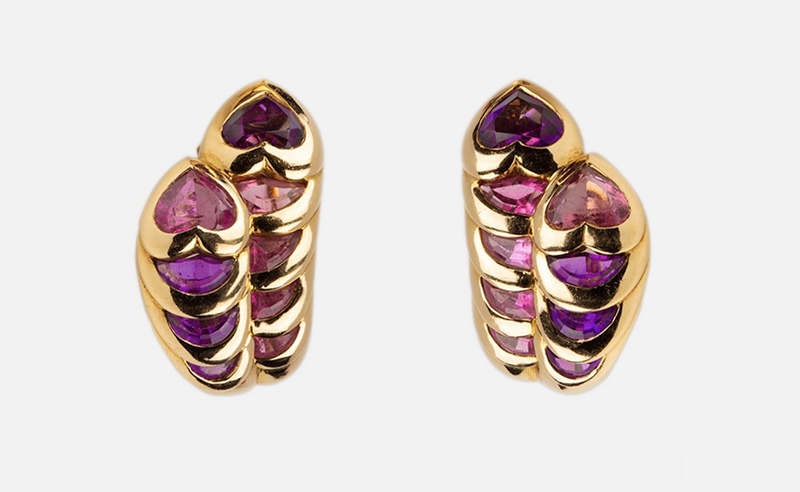 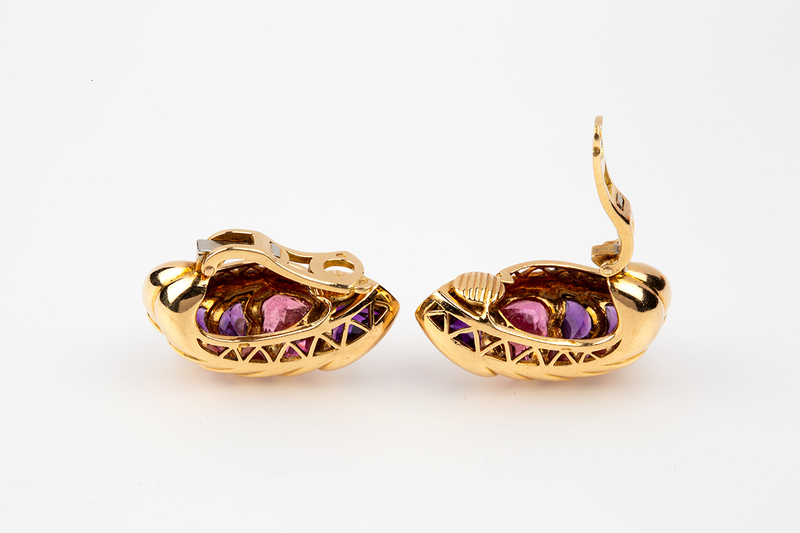 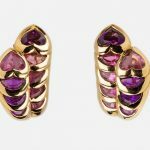 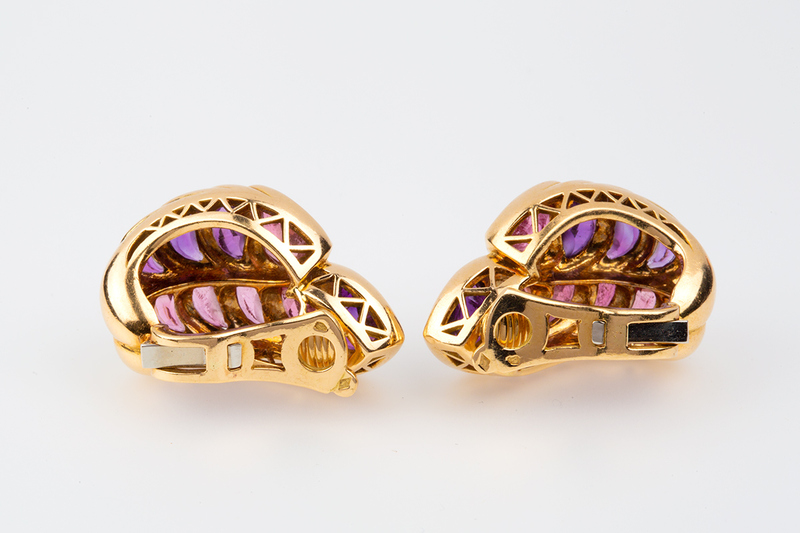 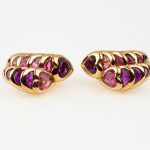 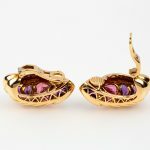 Finely mounted 18 karat gold earrings set with heart-shaped amethysts and pink tourmalines with clip fittings. 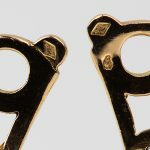 Stamped with an eagles head (French mark). 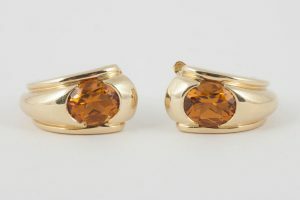 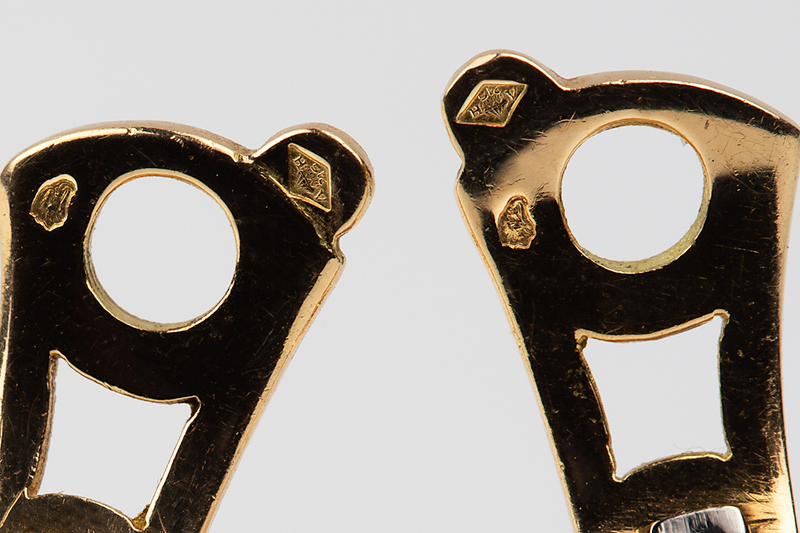 Measures 15mm in width x 28mm in height. 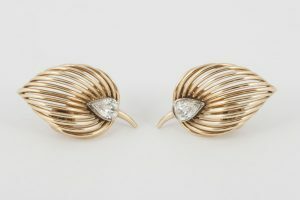 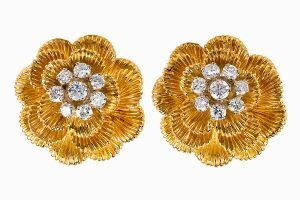 20th century, French circa 1975.